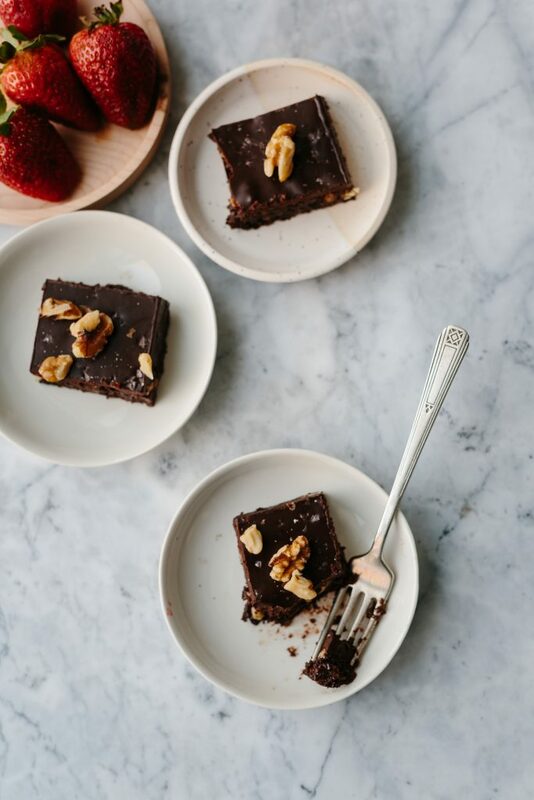 Just in time for Valentines Day, these raw glow brownies are sweet enough for a special treat but hidden inside each little chocolate square are ingredients that will make your skin glow. Yes, GLOW brownies. 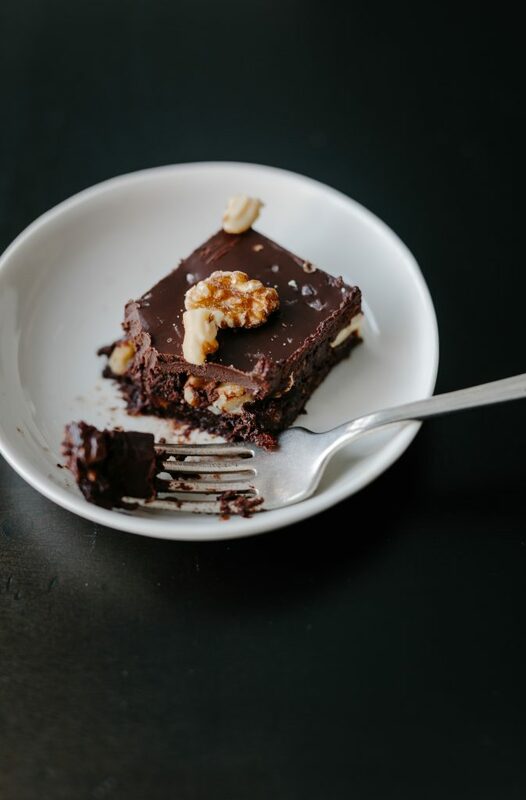 I’m not sure why I didn’t think of this sooner but these are the best brownies you’re ever going to eat with the maximum health benefits. 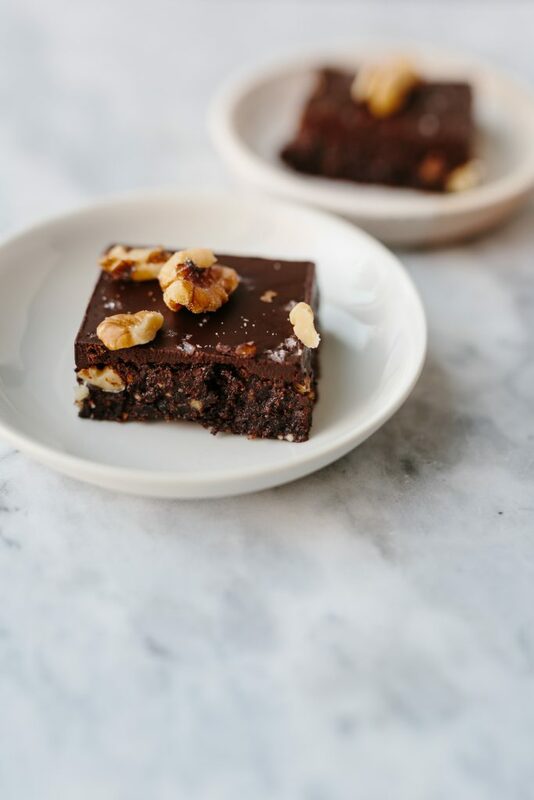 These brownies are refined sugar free, contain zero flour, require no baking, are full of omega 3’s to help reduce inflammation, high in fibre, protein rich AND include collagen and medicinal mushrooms. What does this mean for you? When you’re eating your delicious brownie your body will be using these ingredients for healthy hair, strong nails, glowing skin and improved digestion. It’s a win win really. 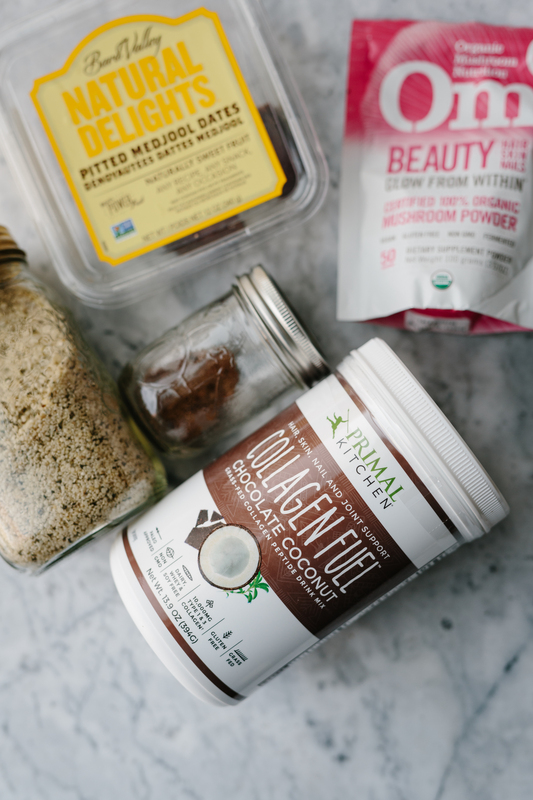 I picked up Om Beauty Mushroom Powder on my last visit to the US and I’m not sure you can find this in Canada however, I also use a mushroom blend from Harmonic Arts. While searching to find Om mushrooms, I stumbled upon this Canadian site so I may be ordering from here. Looks like my kind of online ordering. I buy Harmonic Arts from The Light Cellar. The Light Cellar also carries Vital Proteins Collagen. The Primal Kitchen Collagen I order from iherb.com. To make these vegan simply leave out the collagen. Line an 8′ x 8′ pan with parchment paper. In the bowl of a food processor, pulse together the walnuts, almond, hemp hearts and flaxseed. Blend until you have a fine chop but not too long or you’ll make walnut butter. Add in the collagen, dates, cocoa powder, mushroom powder, vanilla and sea salt. Blend again until it starts to blend together evenly. At this point add water 1 tablespoon at a time until you have a soft and sticky consistency. Transfer the mixture to the parchment lined pan. Press down evenly. Press a few more walnuts down into the brownie. Not completely necessary but it gives it a nice texture. I love the crunch. Place the pan in the freezer for 10 minutes while you make the ganache. Melt the coconut oil in a small saucepan. Remove from heat. Whisk in the cocoa powder, maple syrup and vanilla. 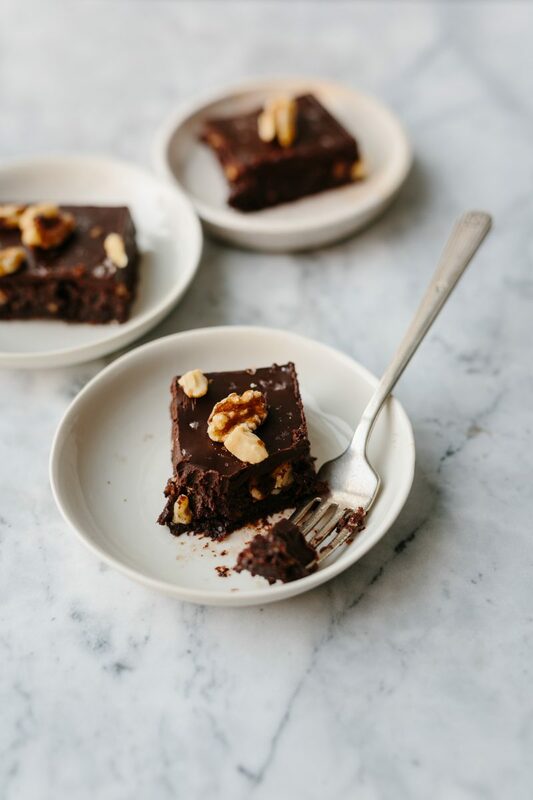 Remove the brownie from the freezer. Pour over the ganache. Sprinkle with flaky sea salt and a few chopped walnuts. Set back in the freezer until the ganache sets. It will lose its shine. Cut with a hot knife into desired squares.